Allow us to offer you a little friendly advice, regardless of what your current plumbing need might be: don’t just someone based solely on what you need now. Instead, act as if you were choosing one company to handle all your future plumbing needs. How does that change your decision making process? It might not change it all; or, it could alter it profoundly. Here’s a quick example of the latter scenario. Let’s say today you need repairing a leaky faucet. Any licensed plumber worthy of the name could handle that for you. But what the issue were something bigger – say, a collapsed underground drain line. That takes a higher skill set and added physical resources to repair or replace the damaged pipe, and to do so without digging up your yard. 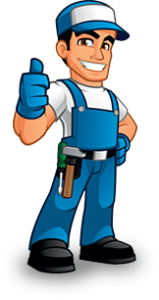 The moral of the story is this: when you choose Arnold Plumbing you’re choosing a team of professional and experienced plumbers who can do it all: big and small jobs alike. And always with your satisfaction guaranteed.